62445301681 ../;jsessionid=10179nl12as8f0ei31w1fo55rn35bj.10179?wicket:interface=:0:beta-club:modal-container:modal-content:content:body:login-rixty-form:visibilityContainer:fbconnect::IActivePageBehaviorListener:1:1&wicket:ignoreIfNotActive=true It seems like your browser is preventing Facebook Authentication. This happens when your browser's Tracking Protection is enabled. To continue logging in via Facebook, please turn off Tracking Protection or use a different browser. 62445301681 ../;jsessionid=10179nl12as8f0ei31w1fo55rn35bj.10179?wicket:interface=:0:login-panel-small:login-small:login:modal-container:modal-content:content:body:login-rixty-form:visibilityContainer:fbconnect::IActivePageBehaviorListener:1:1&wicket:ignoreIfNotActive=true It seems like your browser is preventing Facebook Authentication. This happens when your browser's Tracking Protection is enabled. To continue logging in via Facebook, please turn off Tracking Protection or use a different browser. 62445301681 ../;jsessionid=10179nl12as8f0ei31w1fo55rn35bj.10179?wicket:interface=:0:login-panel-small:login-small:signup:modal-container:modal-content:content:signup-form:fbconnect::IActivePageBehaviorListener:1:1&wicket:ignoreIfNotActive=true It seems like your browser is preventing Facebook Authentication. This happens when your browser's Tracking Protection is enabled. To continue logging in via Facebook, please turn off Tracking Protection or use a different browser. 62445301681 ../;jsessionid=10179nl12as8f0ei31w1fo55rn35bj.10179?wicket:interface=:0:redeemcode:modal-container:modal-content:content:body:login-rixty-form:visibilityContainer:fbconnect::IActivePageBehaviorListener:1:1&wicket:ignoreIfNotActive=true It seems like your browser is preventing Facebook Authentication. This happens when your browser's Tracking Protection is enabled. To continue logging in via Facebook, please turn off Tracking Protection or use a different browser. The following information pertains to the promotion advertised at www.rixty.com/gamestop. Free items are available exclusively to people who purchased their Rixty Game Card from a GameStop, Best Buy and Target retail store in the US. Such Game Cards are not available online. This is part of our arrangement with GameStop, so, unfortunately, we cannot extend it to cards purchased elsewhere. There are several reasons why you may not have received an email containing bonus game codes. It may have been delivered to your Spam or Junk Mail folder. Please check your folder, and add [email protected] to your “safe email” list in order to ensure delivery of future emails from Rixty to your Inbox. Free items are limited to one per Rixty account and game account, per calendar month. If you have already received free items this month, buying a second Game Card or creating a second Rixty account to spend at your game will not qualify you to receive new items. A Game Card must be redeemed and spent in the same calendar month (Pacific time). Redeeming in one month and spending in another month will not qualify you to receive free items. You may have an invalid or outdated email address on your Rixty account. 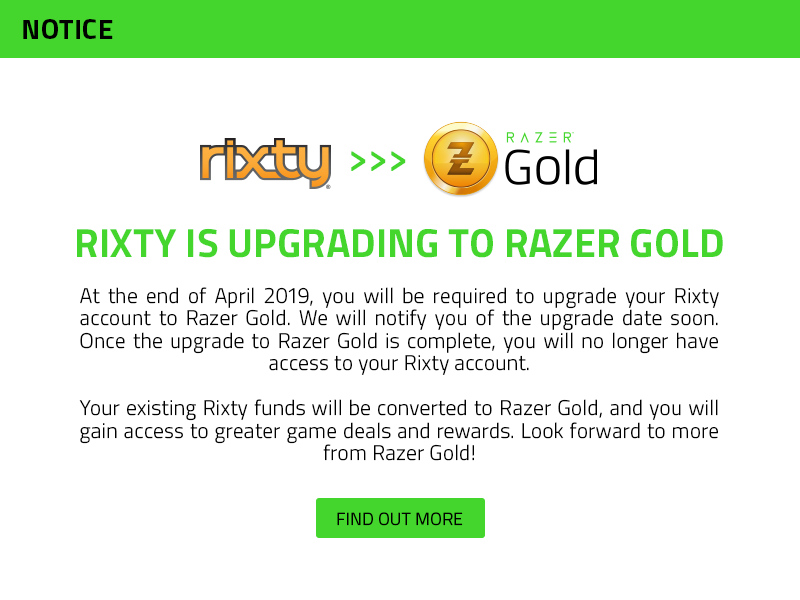 Please login at www.rixty.com, select Your Account Options from the menu, and verify your address. You may have been disqualified for violating the Terms and Conditions of the promotion. Disqualification can result from transferring codes between user accounts, attempts at manipulation, or fraud. We’re sorry for any inconvenience, but we do not have the ability to replace missing codes or to generate new ones. Please rest assured that our system is functioning normally, and you will receive new bonus codes for future Game Cards unless you are subject to one of the limitations noted above.